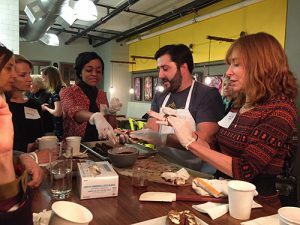 On January 30, we kicked off 2017 with French flair. Following a meetup at Sitti Restaurant, we headed a couple blocks over to lucettegrace, a contemporary patisserie in downtown Raleigh. 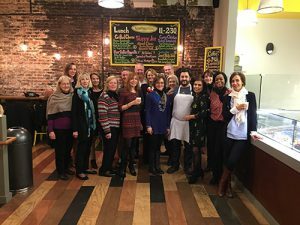 Daniel Benjamin, Executive Chef and Owner of lucettegrace, graciously hosted the group. 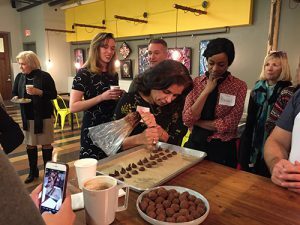 Not only did we enjoy lively conversation, wine, and coffee, but we were treated to a demonstration of cognac truffle-making, followed of course by the consumption of said truffles! If you haven’t visited lucettegrace, now is the time.